The voxel editor will become the editor for making everything in the game Avoyd. For now, you can use it to make large voxel environments. It's designed to be fast, smooth (Avoyd is an FPS), and usable by multiple people over a network together (networking is currently disabled). 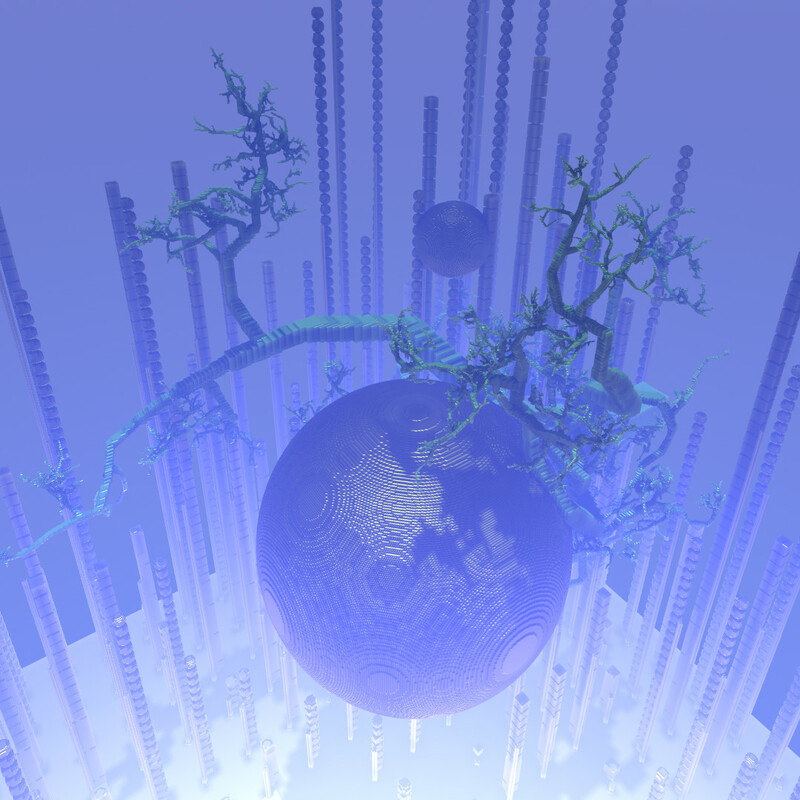 The voxels in Avoyd are a little special: they’re constrained morphing voxels. This means their shape depends both on how full of material they are, and their neighbours. They change shape to keep in contact with the voxels next to them. 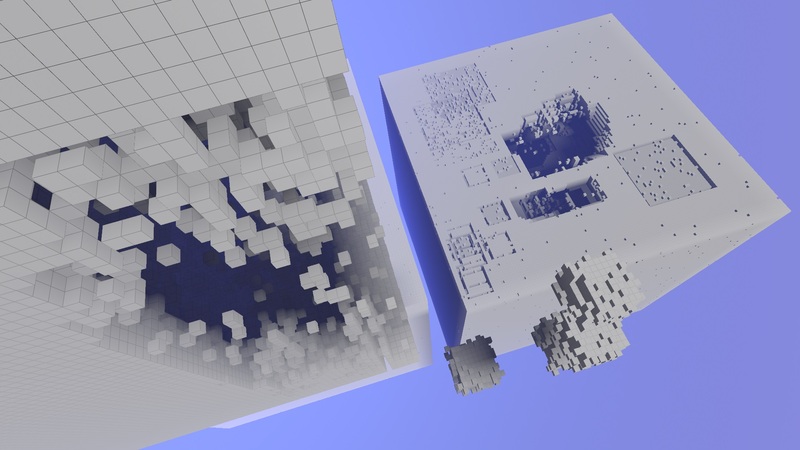 For example, a full voxel is always a cube, but if we remove half its material, it becomes a cube half the size. If it has neighbours, it sticks to them, deforming like a soap bubble. We came up with the constrained morphing voxels model in the original Avoyd 1999 to help with movement. With avatars about a third the size of a voxel, moving between one voxel cube and the next in zero g could cause brutal, disorienting changes from a first person point of view (picture stepping on a wall). Flattening the angles to create slopes helped. 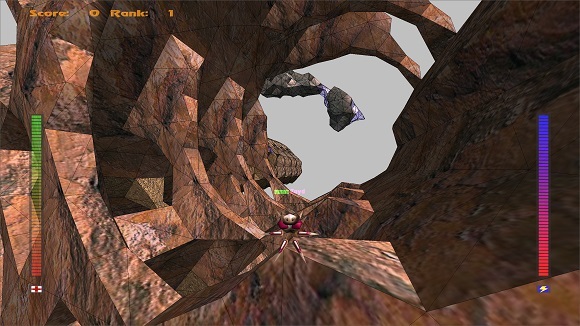 Avoyd 1999 screenshot showing the original constrained morphing voxels with the avatar for scale. 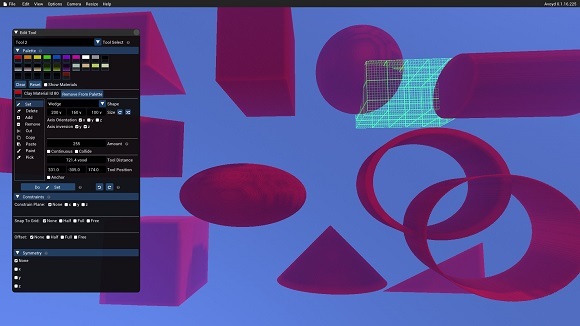 Avoyd screenshot showing the current iteration of constrained morphing voxels. In the current version of Avoyd, avatars are larger than a voxel. But we’ve decided to keep the constrained morphing voxels as we like their organic, low poly looks. We’ve enhanced the mesh generation algorithm slightly, and to reduce visual noise have decided not to use textures in order to make the environment more readable. Some of the shapes available to use as brushes. Starting from the top left: wedge, box, sphere, cylinder, a rotated wedge, an ellipsoid, two tubes, a cube, a cone and a corner. Load brush: use a world file as a brush. Also works with .vox, MagicaVoxel and Minecraft files. Performance: level of detail (LOD), lighting quality etc. 'X2' multiply the scale of all objects in the world by two: e.g. a 3x3x3 cube becomes a 6x6x6 cube. Can be applied multiple times. 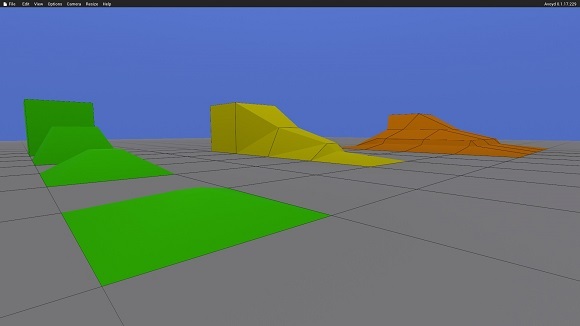 The next release of Avoyd will include the movement prototype, so we need surfaces to move on. 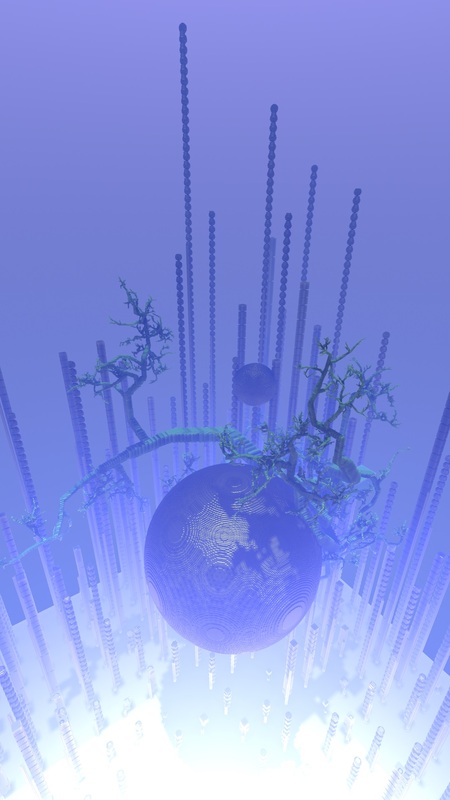 To keep the download small, we're exploring procedural generation. When I began learning procgen I made trees as a prototype for in-game growing organisms, but they have an unintended flaw: their fine branches make great traps for the avatars! The goal now is to create a bunch of simple, smooth, interconnected volumes. I've also started experimenting with greeble to add a sense of scale.